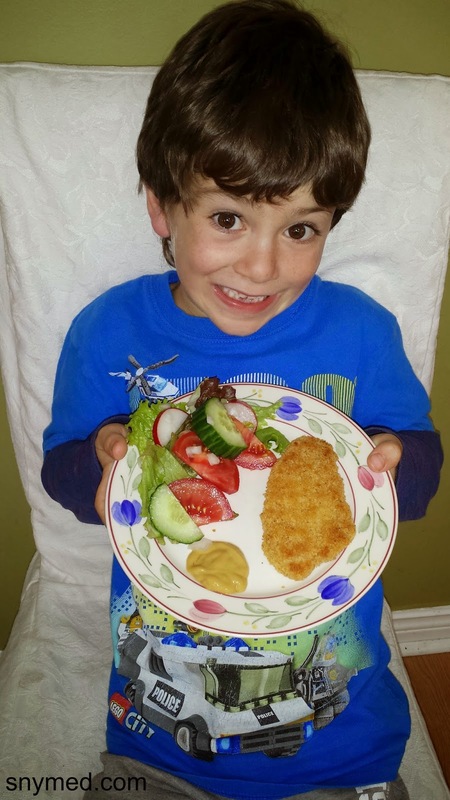 EASY: Make For Dinner TONIGHT - Breaded Chicken & Honey Mustard! I love Thanksgiving because it always makes me reflect upon all the wonderful things I have to be thankful for. However, there's no denying that it's busy preparing a Thanksgiving turkey from scratch, and the labour of love it is to host such a Thanksgiving celebration. So, for the days leading up to Thanksgiving and special holidays, I prefer quick and easy meal options. 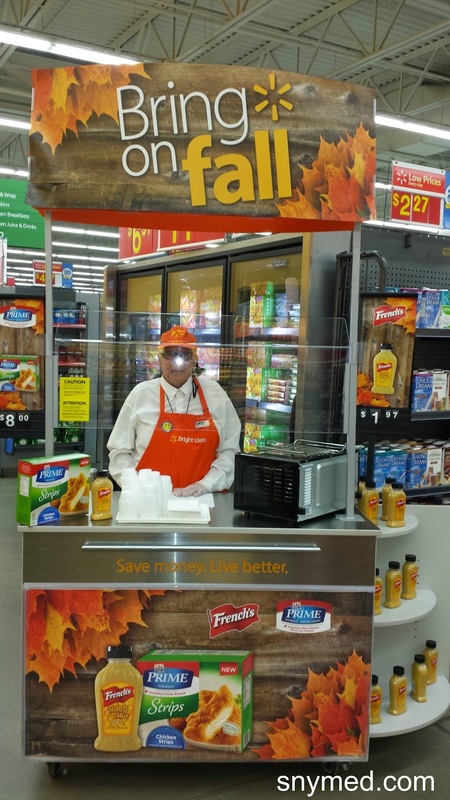 Just this last weekend, I attended Fall Marketplace demos at my local Walmart Canada store. As I had a big Thanksgiving shopping to do, I thought I'd rest my weary heels and enjoy some tasty samples at the same time. The demo was of Maple Leaf Prime frozen chicken strips, and French's Honey Mustard. 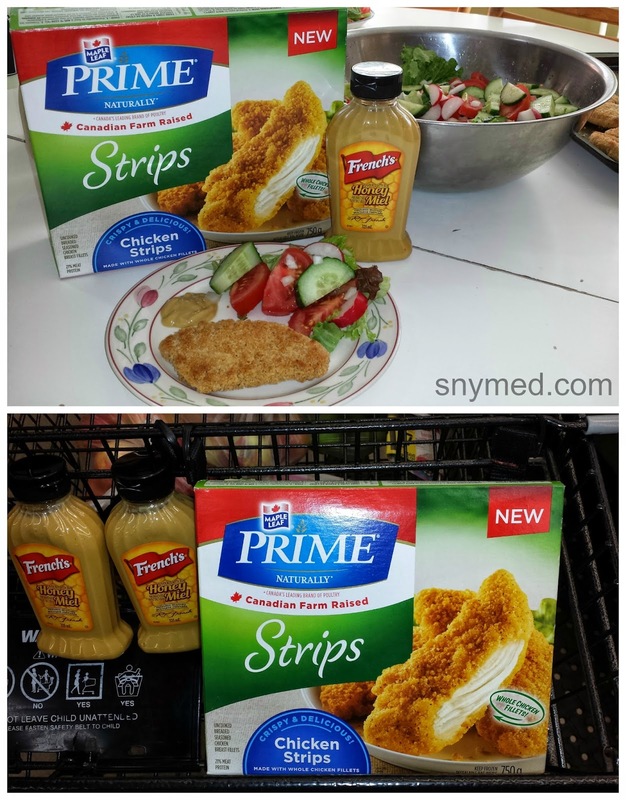 I find the strips a very convenient choice for our busy family of 7, especially because our kids often bring over friends after school for play dates. I also like serving a hot dinner on a cool fall day. My kids (and husband) are big "dippers", and love dipping their chicken strips into sauces like French's Honey Mustard. 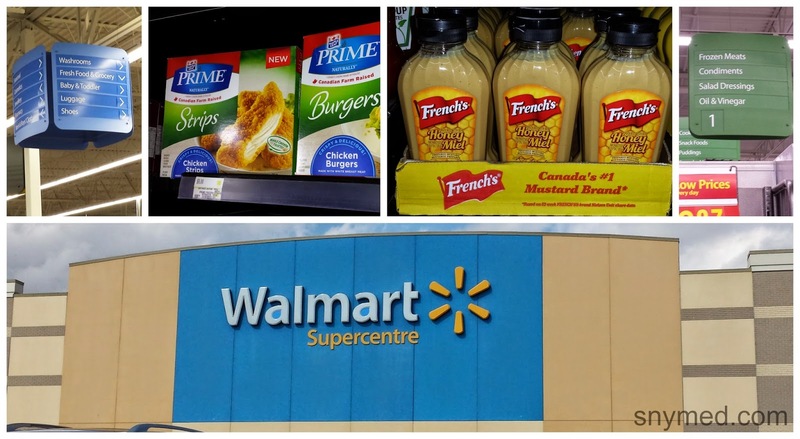 The Maple Leaf Prime chicken strips are easy to find at Walmart, just locate the Fresh Food & Grocery section, and look in the frozen meats case. The French's Honey Mustard is simple to find too, located in the "condiments" aisle with the ketchup, mustard and relish. French's Honey Mustard is sweet like honey, but also tangy because of the finest grade mustard seeds that they use. It's also fat-free and cholesterol-free, which is always important. The chicken strips with a honey mustard dipping sauce make for a very easy and tasty meal, especially when I add a side salad with wholesome veggies. The meal is very fast and easy to prepare, and none of my kids are fussy when I serve this for lunch or dinner. What fast and tasty meal does your family enjoy the most? How long does it take to prepare your quickest meal? My kids love spaghetti and soups. They gobble those up! 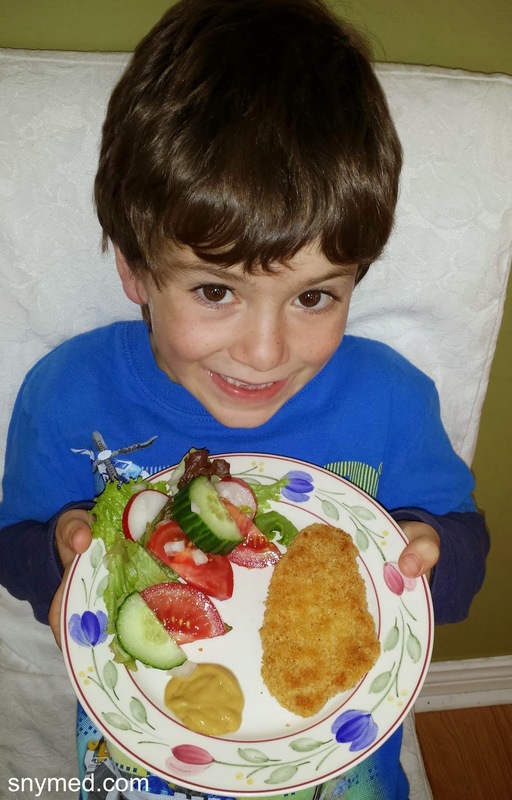 Your quick dinner looks great, I wish my kids ate breaded chicken but nope... they don't. We all have our own version of picky kids don't we?? My kids LOVE chicken strips and these look very delicious! Our go-to for quick is pasta usually. The kids love mac and cheese or spaghetti the most but if they had the choice I'm sure these would be top list! 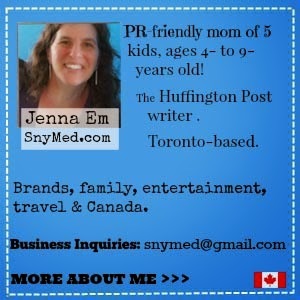 Thanks for sharing your review and insights! That sounds like something my son would love! Not sure if he would use the mustard though. Delicious, I love honey mustard and chicken. Hm I love honey mustard on a lot of things, have yet to try it on chicken!